Streamlight Sidewinder Sportmans / Tactical Flashlight is the most versatile TACTICAL LIGHT in the world. The Sidewinder is twenty flashlights in one! Each LED lamp features 4 levels of output intensities: Low (5%), Medium (20%), Medium-High (50%), High (100%) plus a Strobe function (100%). No other flashlight gives the range of output performance, from an entire room to covert task-lighting. 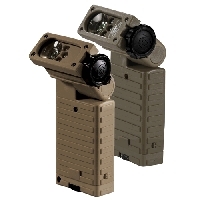 Streamlight Sidewinder Sportmans/Tactical Flashlight offers articulating 185° rotating head and spring steel clip attaches to MOLLE or belt clip can be mounted on either side of the light. Side-Winder Sportmans / Tactical Flashlights feature unbreakable, gasket-sealed polycarbonate lens with scratch-resistant coating. 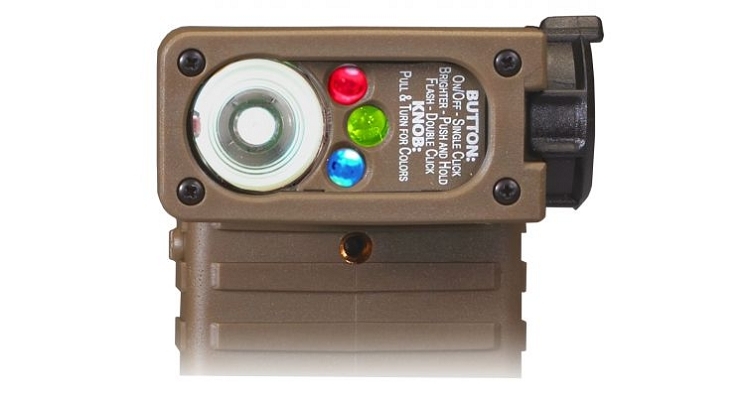 Stream Light Side Winder Sportmans Tactical Flash Light also offers one switch for On-Off, dimming and mode selection functions. Pull-to-turn locking rotary color (4) selector knob with tactile indicator for easy operation with gloves. High-impact, super-tough nylon case of the streamlight flashlight passes the drop-test verified from 30 feet. ** with 2 AA batteries. Intensity automatically shifts to low output at end of rated battery capacity to utilize maximum battery life.